So, if you read my previous post about a beautiful summer Maternity session, then I’d like to introduce you to their brand new son, Will. He looks so much like his big brother, but mom tells me he has lighter hair. I hope you enjoy the session I created for his family as their Connecticut Newborn Photographer. Will was “due” on July 4th but he arrived a little early. However, I couldn’t resist creating something that would always remind his family of his original due date. Mom thought this little hat was adorable, but we just couldn’t keep the ball from rolling off of Will’s body. So I had mom balance the ball with her finger and then just “painted” her away when I edited the photo for them. Now, it’s perfect. Here they are now, a family of four! So beautiful. Mom just loved this image of Will sleeping and smiling in the maple sugaring bucket. Enjoying a sweet cuddle with her new little man. You would never guess that this beautiful woman just had a baby! All ready to see the world, Will got a great nap on this old well-traveled suitcase. Dad got a chance to enjoy his sleeping son as well. Amazing how Will could fit inside his Dad’s hands as this young age. Both Mom and Dad loved this tiny cot, and Will was more than happy to continue his nap on it. And finally, big brother Drew so proud to hold his new best friend, Will. They will share many adventures together as they grow up. If you want to get your family photographed once your little one arrives, contact me as soon as possible. 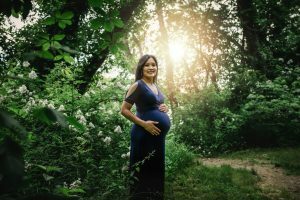 As one of the most sought after Connecticut Newborn Photographer’s, I can book up very quickly.